Clean mushrooms. cut them into thick slices. 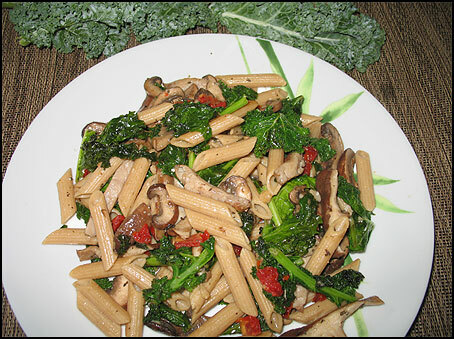 Add oil to a skillet and when hot, add Kale and saute/cook for about 3 minutes in high heat stirring frequently. Note: If you like olives, you can add a couple of black (kalamata) olives at the end.